Manusmriti, translated as "The Laws of Manu" or "The Institutions of Manu," is the most important and authoritative Hindu Law Book (Dharmashastra), which served as a foundational work on Hindu law and jurisprudence in ancient India at least 1500 years. Until the modern times, it was the standard reference for adjudicating civil and criminal cases by both the rulers who patronized Vedic faith and the people who practiced Hinduism. Hinduism has many law books. Of them, Manusmriti is certainly the most popular and authoritative work. Manu in Hindu tradition is considered to be the first of Brahma's sons and a progenitor of human race. Therefore, it is difficult to determine the age of Manusmriti. The laws of Manu might have been known to the Vedic people for a long time before they were codified into their present form sometime during the post Vedic period. The work that we have today as Manusmriti might have reached its final form through the contribution of many by 200 CE. The people of ancient India believed in the order and regularity of the world as the manifestation of God's will and intent, and the clear victory of the divine forces over the demonic. 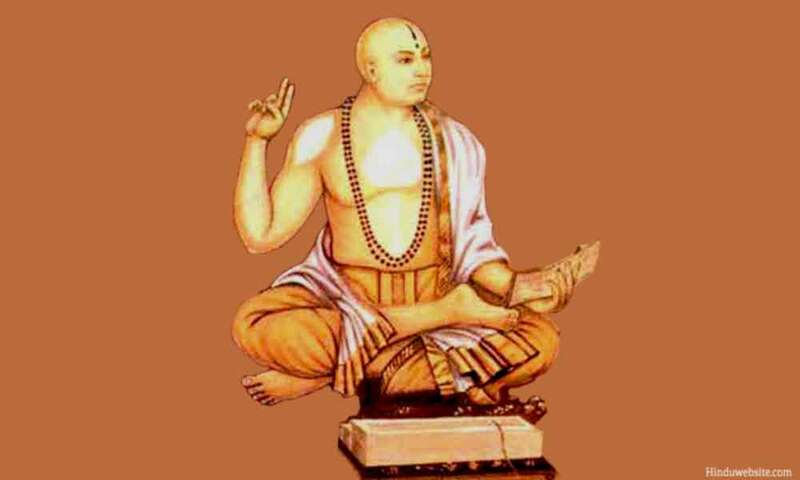 Hence, the laws governing the conduct of individuals and the order and regularity of Hindu society were formulated by many scholars and sages in ancient India since the earliest times. Their works are today available to us as 18 Dharmashastras, of which the work of Manu (Manusmriti) is considered the most important and widely used. Unlike the Vedas, the Hindu Law Books fall into the category of intellectual or scholarly works (smritis). They are distilled and codified through observation, experience, analysis, and the study of the Vedas, keeping in view the best interests of the humanity and society. Hence, they are not entirely without the flaws of humans. They are also not free from caste or racial bias. Hence, they are vulnerable to criticism from the modern standpoint. Manusmriti projects an ideal society and ideal human conduct as the basis to establish an orderly society and divine centered life. To promote those ideals and enforce divine will, it proposes numerous laws to minutely govern human life and conduct as applicable to each individual according to her or his social class, duties and responsibilities. Their purpose is to inculcate discipline, provide a basis for the rulers to enforce lawful conduct, and ensure the orderly progression of the world through righteous conduct and observation of obligatory duties by individuals who have chosen for themselves the life of a householder, or that of a renunciant. The power to enforce the laws is carefully distributed among the rulers and the guardians of society who assist him in decision making. Manusmriti recognizes the corrupting and deluding influence of power over the mind and cautions the kings to exercise their judgment with great care to avoid sinful karma and harmful consequences for themselves and for the world. The laws that were proposed by Manu to govern human conduct and society reflect the conditions, needs and values of the times in which they were formulated. Most of them do not fit into the present day value system. They acknowledge prevailing social and gender inequalities as natural conditions of human existence, and propose laws to govern the behavior of individuals without providing scope for any changes that time may bring in the conditions of society or the lives of people. Hence, today you may find many laws of Manu archaic, outdated, and even primitive. The laws favor a paternalistic society and family system, vesting the authority to regulate them with men, and proposing rather a subordinate status and subservient role to women. They also betray a clear lack of trust in the integrity and sexual choices of women, thereby suggesting that they should always be guarded by men and should never be left alone in the presence of men outside their families. At the same time, they do not ignore or undermine the role of women in family and domestic matters, and urge men to treat them with honor and respect and not let them suffer. The British who ruled India used Manusmriti as the standard to settle disputes among Hindus with regard to matters of inheritance, family disputes, marriage, and royal succession. Some Hindu scholars believe that the British found in the Manusmriti a useful tool to promote their interests or perpetuate the social divide among the Hindus to consolidate their power. There is also a criticism that for a long time Manusmriti served the interests of privileged classes and justified the oppression of women and the lower castes, as they prescribed unequal laws for different castes based upon their status in society. Manusmriti acknowledges and justifies the caste system as the basis of order and regularity of society. It clearly recognizes four classes of people (Brahmanas, Kshatriyas, Vaisyas and Sudras), and their respective roles in the preservation of dharma. Brahmanas and Kshatriyas are given many privileges and greater leniency in matters of punishment for misconduct, while Sudras are given the least number of privileges but the harshest of punishments even for minor misdemeanors. Hence, it is important to study Manusmriti with an open mind to understand its historical and religious significance in the evolution of Hinduism from its early days to its present form. It is difficult to apply the laws of Manu in today’s world since the conditions that exist now are very different from those when they were formally codified. For example, our current laws do not permit gender bias or the imposition of restrictive law upon women or their freedom to choose their marriage partners, their profession or their ways of life. Similarly, the laws governing the conduct of people according to their caste or occupation are discriminatory by today’s standards and cannot be enforced. Despite such problems and limitation, Manusmriti has historical value. Students of Hinduism still need to study it to understand the way of life in ancient India and how people governed their lives with their help. Since Manusmriti is the most important Hindu Law Book and its study is necessary to understand the historical progress of Hinduism and Hindu society, we have brought to you the entire translation of the scripture which you can access from the following links.